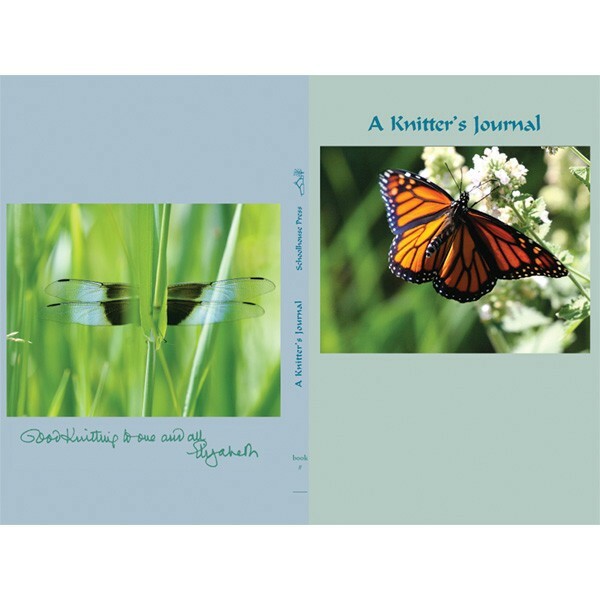 A choice of either a a lily or monarch cover on this useful hardcover knitter's journal. 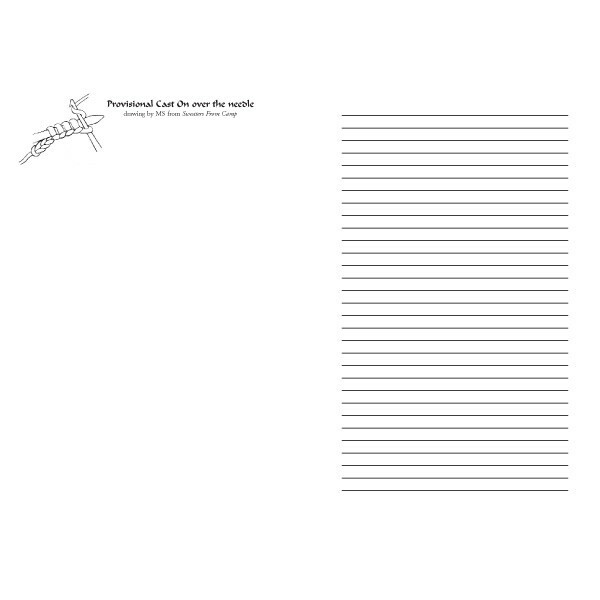 Photos to left show front/back cover view. 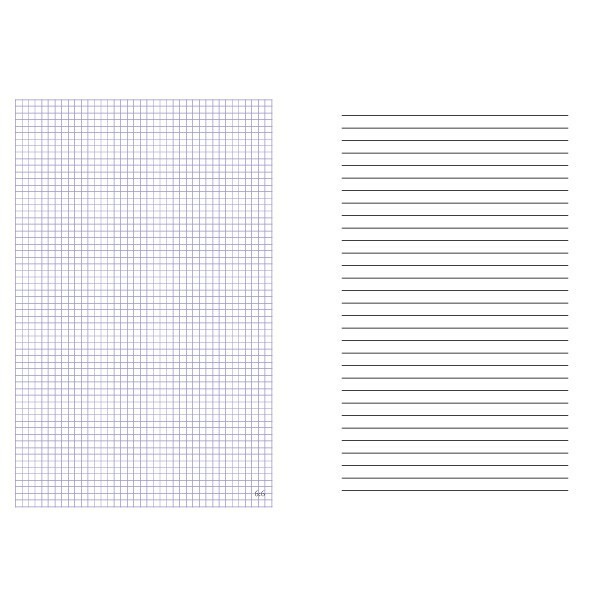 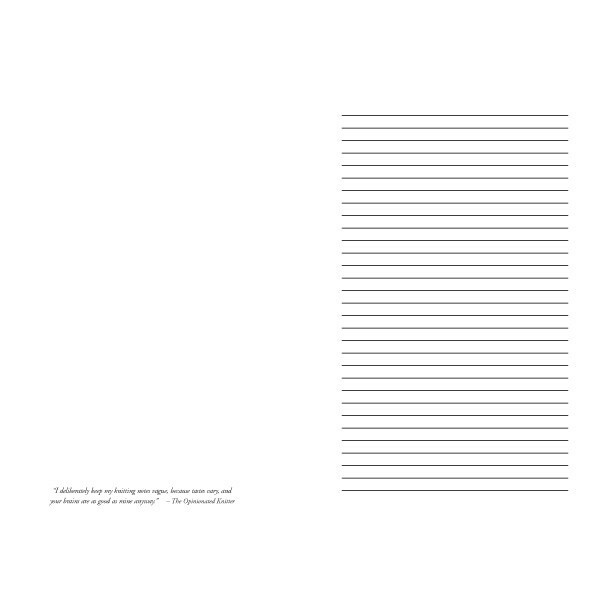 Includes drawing pages, 56 lined writing pages, and various sizes of graph paper on which to chart your ideas. 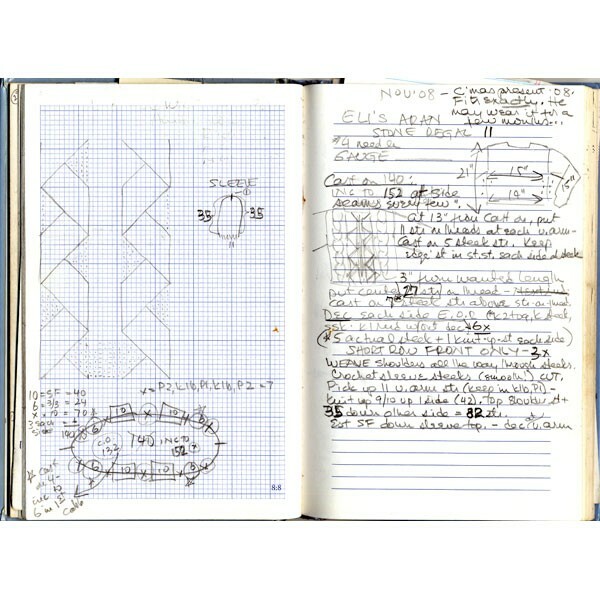 The 128 pp includes 17 small drawings of techniques for quick reference, knitting abbreviations and symbols, a needle conversion chart, plus 20 cogent quotes from Elizabeth Zimmermann's five books. 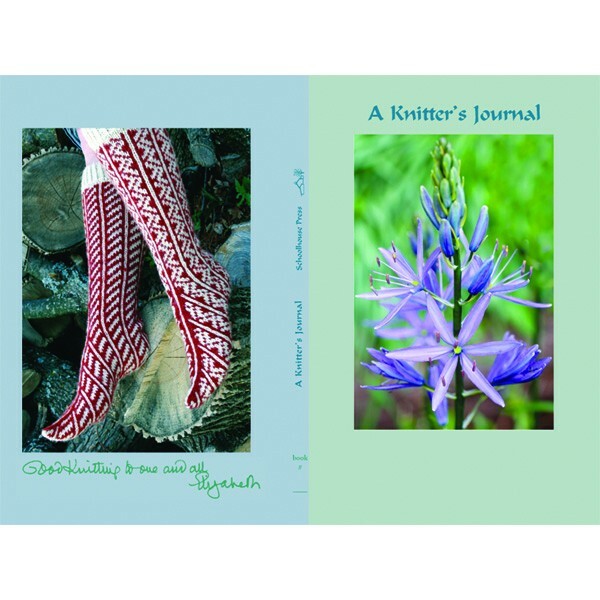 Elizabeth's instructions for wearable art socks (shown on the back of the lily covered version) and the drawing for EPS Yoke and Drop-Shoulder garments are also included.Smythe Sewn for durability. 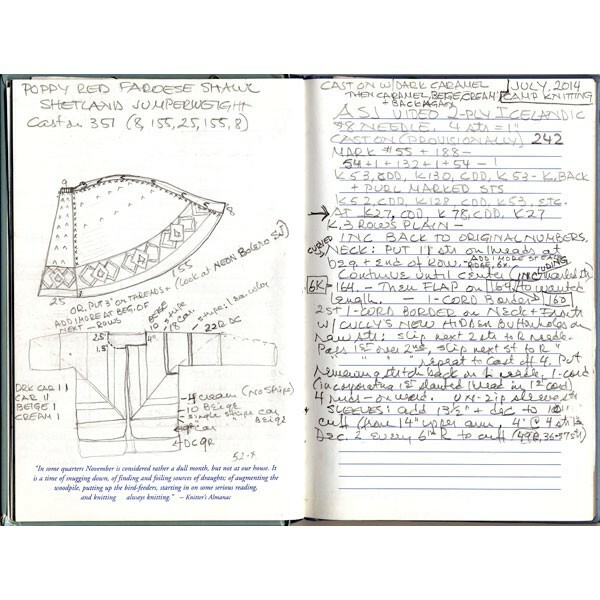 See some examples of Meg Swansen's knitting journal entries at left, with notes on the Adult Surprise Jacket pattern knit for the streaming video and the Faroese shawl, WG91.